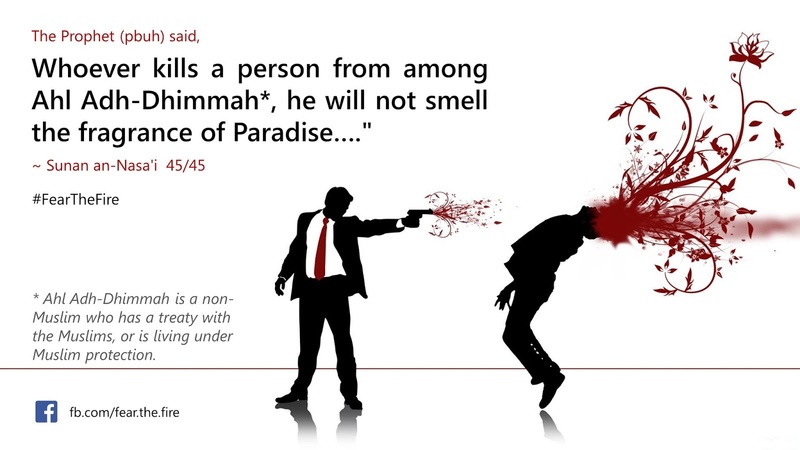 Non-Muslim who have treaty with the Muslims, or is living under Muslim protection are called Dhimmis. Also there is a lot of negativity and uncertainty in today's world. In the name of terrorism Islam is presented by the West (via their homegrown terror groups like Al-Qaeda, Taliban, ISIS etc.) as the most cruel religion in the world. 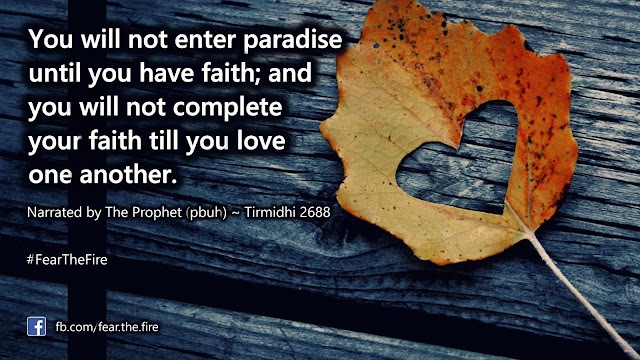 Here's an interesting write-up published by Huffington Post on "Did Prophet Muhammad Warn us of ISIS?" Thanks to these terror groups and the media who add fuel to the fire. Unfortunately the world fails to see the ulterior motives of the West - who wants to create a New World Order - by disturbing world peace. Historically under Muslim rule - Khilafat (or Caliphate) - the Non-Muslims living in Muslim countries lived in peace. The write-up below describes the history of Islam and the post here describes the methodology to bring peace in the world. During the life of Prophet Muhammad, the Jews in Madina had a synagogue and an educational institute by the name of Bait-Al-Madras. 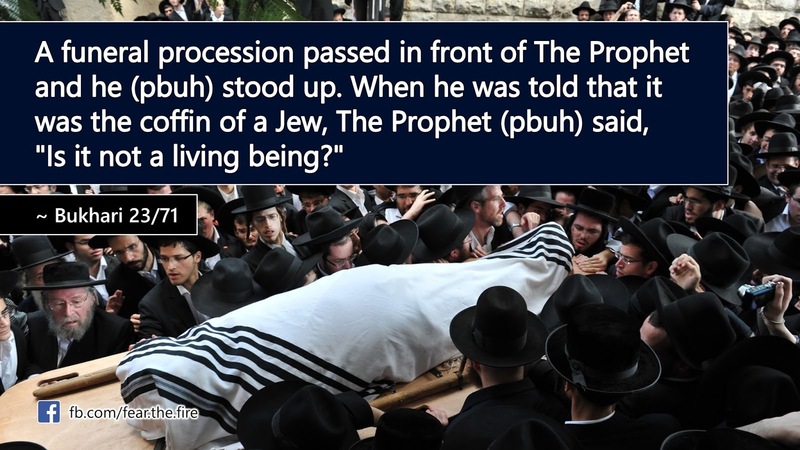 He made sure it was preserved as well as all the Jews attending it were protected. In the name of God, Most Gracious, Ever Merciful. This message is from Muhammad, Messenger of God. Verily, whoever follows us from the Jews shall have the help and the aid; and shall neither be victim of injustice, nor taken vengeance upon. The Jews of the children of Awf are safe with the Faithful. They have their religion and the Muslims theirs and themselves, except those who oppress or sin, they will forfeit themselves and their families. The Jews of Bani Al-Najjar, of Bani Al-Harith, of Bani Saaedah, of Bani Aws and of Bani Belanah are Jews like the others. The Prophet (pbuh) honored the Christians of Najran from Yemen who visited him in his own mosque in Madina. The Christians prayed according to Christian fashion inside the mosque, and the Prophet and his followers prayed in Muslim tradition. The Prophet (pbuh) respected the autonomy of the Christian churches. The nomination and the appointment of bishops and priests was left to the Christian community itself. 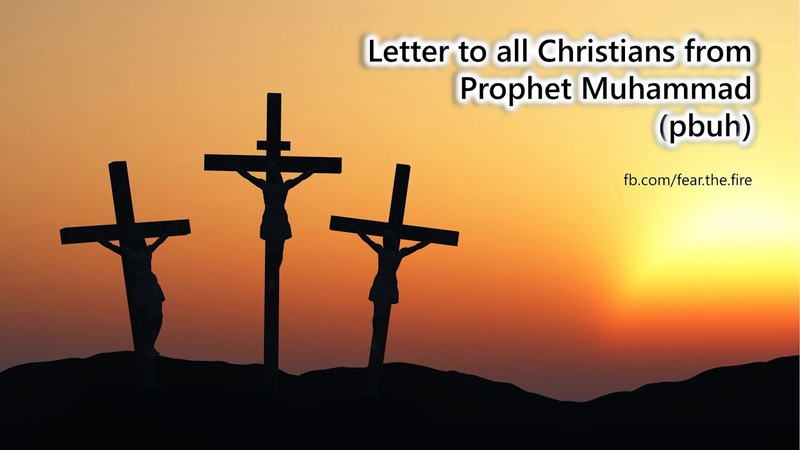 Prophet Muhammad (pbuh) promoted cooperation between Muslims and Christians in the political arena as well. The Prophet (pbuh) selected a non-Muslims and delegated him as his ambassador to Negus, the king of Ethiopia. The name of that ambassador was 'Amr-ibn-Umaiyah-ad-Damri. Verily I, the servants, the helpers, and my followers defend them, because Christians are my citizens; and by Allah! I hold out against anything that displeases them. No compulsion is to be on them. Neither are their judges to be removed from their jobs nor their monks from their monasteries. No one is to destroy a house of their religion, to damage it, or to carry anything from it to the Muslims' houses. No one is to force them to travel or to oblige them to fight. The Muslims are to fight for them. If a female Christian is married to a Muslim, it is not to take place without her approval. She is not to be prevented from visiting her church to pray. Their churches are to be respected. They are neither to be prevented from repairing them nor the sacredness of their covenants. No one of the nation (Muslims) is to disobey the covenant till the Last Day (end of the world). 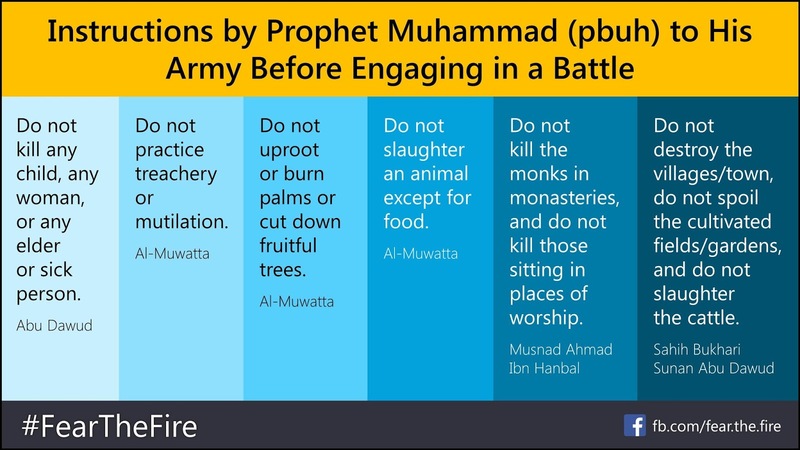 The Prophet (pbuh) and his companions were challenged with war by their enemies. 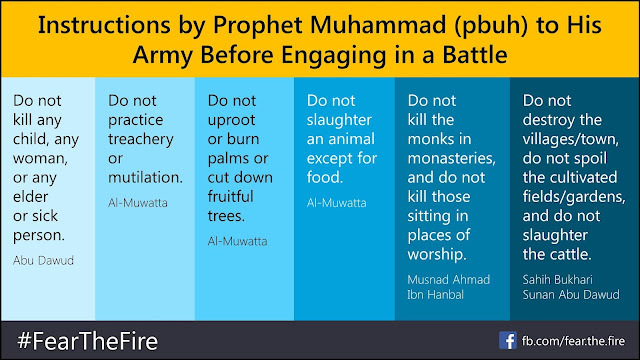 Here are the instructions that The Prophet (pbuh) laid down to his army. The Second Caliph (religious leader of Muslim people) Umar (r.a), asked his Governor in Syria to recruit a Greek person who could put the accounts of their revenues in order. He also appointed a Christian to head his administration. Umar (r.a) respectfully declined to pray inside the church of Resurrection in Jerusalem, but he did pray outside. He was concerned that his followers would take it over from the Christians, if he prayed inside. Muslims were given the key of the Church of Basilica in Jerusalem during the days of the Caliph Umar. The Muslims are still taking care of it today. During the time of Caliph Umar certain Muslims had taken a piece of land belonging to a Jew. They constructed a mosque on it. Umar ordered the demolition of the mosque and the restoration of the land to the Jew. In the name of God, The Most Merciful and The Most Gracious. This is the security which grants to the people of Elia. He grants to all, whether sick or sound, security for their lives, their possessions, their churches and their crosses, and for all that concerns their religion. Their churches shall not be changed into dwelling places, nor destroyed, neither shall they nor their appurtenances be in anyway diminished, nor the crosses of the inhabitants nor aught of their possessions, nor shall any constraints be put upon them in the matter of their faith, nor shall any one of them be harmed. Non-Muslims were holding the rank of Political, Ministers, Administrative positions and membership in Executive Councils. Non-Muslims were given judicial autonomy, not only for personal status, but for all affairs of their life: Civil, penal and others. During the Abbasid Caliphs, Christian Patriarchs and Jewish Hakhams (Rabbis) held highest positions in the Islamic state. They held the position of advisors in the cabinet of the Caliph himself. When the Muslim army reached the valley of the Jordan and Abu Ubaydah pitched his camp at Fihl, the Christian inhabitants of the country wrote to the Arabs, saying: O Muslims, we prefer you to the Byzantine though they are of our faith, because you keep better faith with us and are more merciful to us and refrain from doing us injustice and your rule over us is better than theirs, for they have robbed us of our goods and our homes. The people of Emessa closed the gates of their city against the army of Heraclius and told the Muslims that they preferred Muslim government and justice to the injustice and oppression of the Greeks. Mu'awiyah (661-680) employed Christians very heavily in his service, and the other members of the reigning house followed his example. Christians frequently held high posts at court. During the days of 'Umar Ibn 'Abd-al-'Aziz (an Umaiyad Caliph) some Muslims took a church to enlarge the Grand Mosque of Damascus (Al-Masjid Al-Umawee). Caliph 'Umar Ibn 'Abd-al-Aziz ordered the demolition of that part of the mosque and to restore the church. However, the Christians opted for a monetary settlement. Non-Muslims were given the citizenship of the Muslim country in which they lived including the right to vote for the election of the Muslim state. However, they were exempted from being drafted in the Muslim army. During the days of Haroon Al-Rashid, Dr. Gabriel, the personal physician of the caliph Haroon al-Rashid, was a Nestorian Christian. 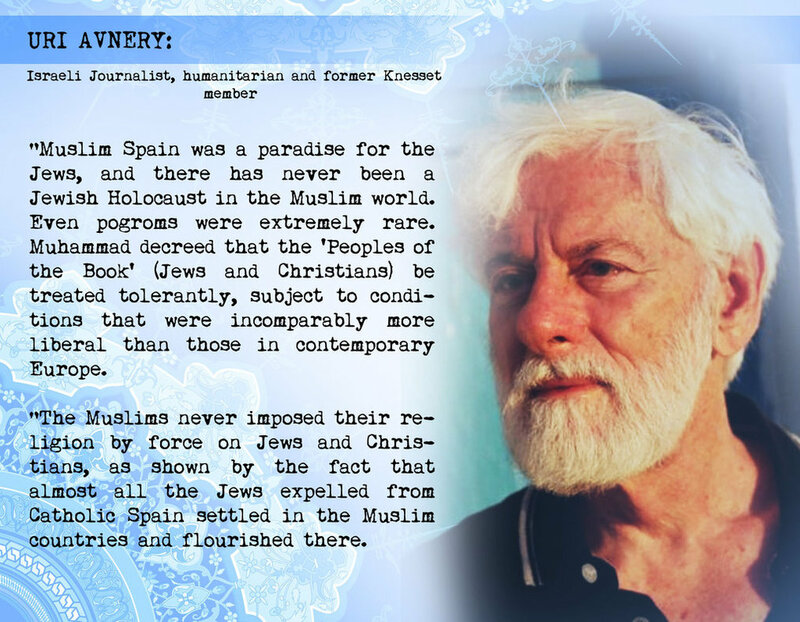 Christians and Jews lived peacefully with Muslims. Non-Muslims flourished among Muslims. None were killed in the name of Islam. The mere presence of a large number of Christians and Jews in the Muslim world is a sign of the tolerance of Muslims to the non-Muslims. When the crusaders captured Jerusalem in 1099, they massacred all the Muslims and the Jews in the city. In 1453, Ottoman Sultan Mehmed II conquered Constantinople and gave religious freedom to all Christians. When Jews fled from Spain in 1492 during the Inquisition, it was Muslims who welcomed them in their lands - see here. They protected them and helped them to establish themselves and they indeed flourished. Also take a look at this article that states how Muslims saved several Jewish people during the Holocast. During the occupation of the Middle East by the crusaders, the local Christians were treated as second class citizens by their European brethren. They could not tolerate the insults and humiliation. Therefore, they helped the Muslims get rid themselves of the crusaders from that area, mainly Jerusalem and Palestine. Salah Uddin (Saladdin) was able to liberate Jerusalem from the occupation of the crusaders. He was kind to the knights and their soldiers. He treated them generously, especially those who were knights. He considered them as political leaders who should be treated with honor and dignity. They appreciated his kindness, generosity, and fair treatment. Some of them later accepted Islam. In this video, a non-Muslim scholar talks on the history of Muslim rulers in Indian subcontinent. He proves with sound references that Muslim rulers including; Mahmud Ghaznavi and Aurangzeb never demolished any temple for religious purposes or racial causes, rather, the Mughal emperor Aurangzeb donated for Hindu temples. Dr. Ram also points out that Mughal rulers never transferred any Indian treasure or wealth out of India, because, they were born India and lived in India and became Indians, while the British rulers transferred huge Indian treasure to their countries. The lecturer is fair in his conclusion, and his information is based upon strong references and logical approach. Many misleading writings were spread on the Muslim’s rule in India. Such fair studies must be brought into the light in order to eliminate the waves of severe hatred towards Muslims by their Hindus brothers in India. Another historian, Richard Eaton, an expert in social and cultural history of pre-modern India (1000-1800), argues Aurangzeb built more temples in Bengal than any other Mughal ruler - read his interview here. He says the temples that Aurangzeb destroyed were not those associated with enemy kings, but with Rajput individuals who were formerly loyal and then became rebellious. Watch the video here. Even if our readers wish to believe otherwise and do not agree with Dr. Ram or Richard, The Quran explicitly states that a Muslim must not insult a non-Muslim who believe in their God. Even forcing Islam on someone is inappropriate. Any Muslim who goes against any verse of the Quran or against the teaching of the Prophet (pbuh) needs to introspect his faith. Those who still believe ISIS (and such groups) are Islamic are clearly mistaken. 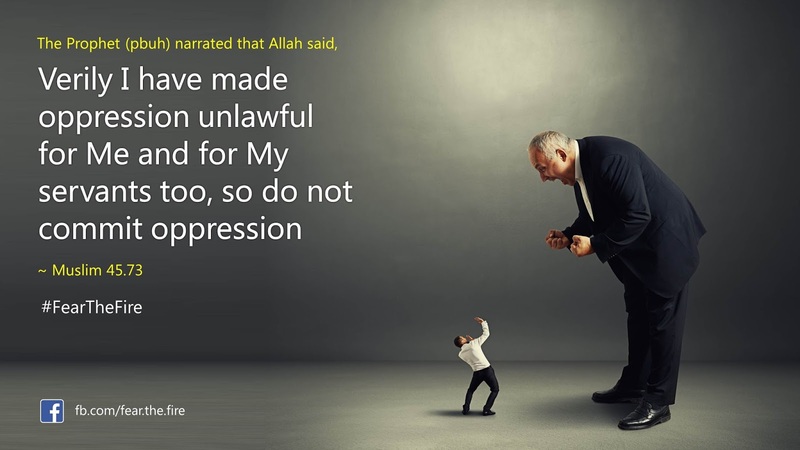 Islam has never advocated oppression under any circumstance (to any human being and any animate object). Oppressing and terrorizing people is clearly forbidden in Islam. Here's an interesting write-up published by Huffington Post on "Did Prophet Muhammad Warn us of ISIS?" Clearly we are living towards the End times; most of the minor signs have already been fulfilled. The West with its ulterior motives, in the last few decades, always wanted to break the unity among Muslims and malign Islam so the Khalifah does not rise again. If it does the West and their allies clearly know they will not be successful with their hidden agenda as described above. The only solution for the world peace is the rule of Khalifah, which is inevitable & the subsequent Second Coming of Prophet Jesus (pbuh). Here's another write-up 'Under the Government of Prophet Muhammad' written by Dr. Craig Considine which was covered on the front page of Islam Today, a UK magazine.